Today, enterprises around the globe operate IT processes covering areas such as security, availability, infrastructure and IT project management. These processes support the core business processes that organizations use to operate successfully. However, the management of risk and compliance around IT processes, or IT GRC, remains quite distinct and separate from the risk and compliance issues related to business processes. Most organizations manage their IT GRC separately from their enterprise GRC efforts. As a result, they face increased costs and labor efforts from having uncoordinated GRC initiatives. More importantly, they may not be appropriately managing the key IT risks and controls that could cause significant business impact. Critical business decisions cannot be made effectively when IT GRC efforts are not integrated with business GRC initiatives as CIOs must be able to explain IT risks in terms of business performance. 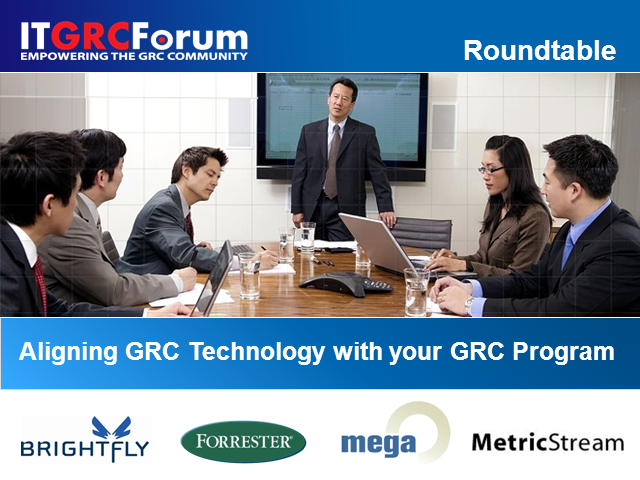 - Remove the silos of GRC Management and define your Risk Measurement Process. - Automate and standardize GRC activities with pre-defined workflow and reporting. - Protect business value through continuous monitoring of both IT and business controls. - Gain competitive advantage by managing risk across their IT and business processes. - Integrate your business and IT GRC aligning GRC Technology with your GRC Program.